The USGA Course Rating System (USGA CRS) has been adopted by all the major golf playing countries, and as a result it is the designated rating system to be used for the World Handicap System (WHS), to be introduced in 2020. South Africa is implementing the USGA CRS on September 03, 2018. On this day, golfers’ handicaps will change to a Handicap Index. 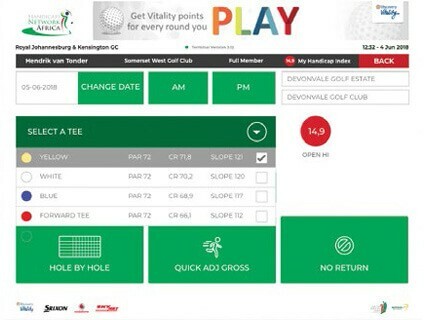 To get a Course Handicap, players will have to decide which tee they wish to play off on the day, and then get their Course Handicap from either the registration desk at the Club (Club System), the Course Handicap Conversion Tables (CHCT) at the club, the HNA terminal, or the HNA phone App. This document outlines what the changes mean to the average golfer. For more detailed information please see the GolfRSA Handicap Rules at www.golfrsa.co.za or www.handicaps.co.za. The USGA CRS has two elements, namely a Course Rating and a Slope Rating. 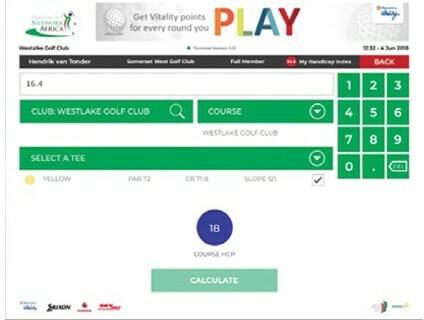 The Course Rating is a number, to one decimal point, indicating the degree of difficulty of a course for a scratch golfer. The Slope Rating is a whole number from 55 (easiest) to 155 (most difficult) and indicates the relative difficulty of the course for a non-scratch golfer in relation to a scratch golfer. The standard rating is 113. SCRATCH GOLFER: a golfer who can play any rated course to its Course Rating in normal playing conditions. BOGEY GOLFER: a golfer who has an approximate Handicap Index of 20 for a male golfer and 24 for a woman golfer. HANDICAP INDEX: a number, to one decimal point, indicating the potential of the golfer and is the number that a golfer will use from club to club and country to country to obtain a Course Handicap. 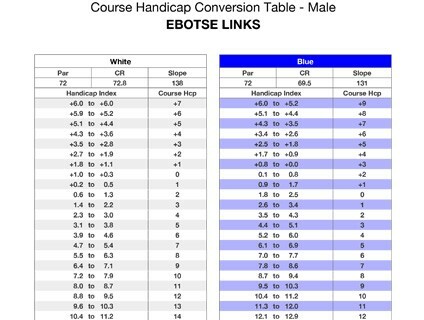 COURSE HANDICAP: a calculated whole number, using the golfer’s Handicap Index along with the Course Rating and Slope of the tee selected, and is the handicap to be used when completing their scorecard. AVERAGE PLAYING LENGTH: the number that appears on the scorecard, indicating to the golfer the length of the course they are about to play and is expressed in metres. THE COLOUR COURSE: the colour of the set of tees of the course – the same as the colour indicated on the club’s scorecard. In South Africa, standard colours are yellow for the longest course, then white, blue and red for the shortest. These colours are the recommended guidelines, however some clubs choose to use different colours. What you need to know about the definitions and the impact on the golfer. The Course Rating will replace the current SAGA/WGSA ratings currently used in South Africa. 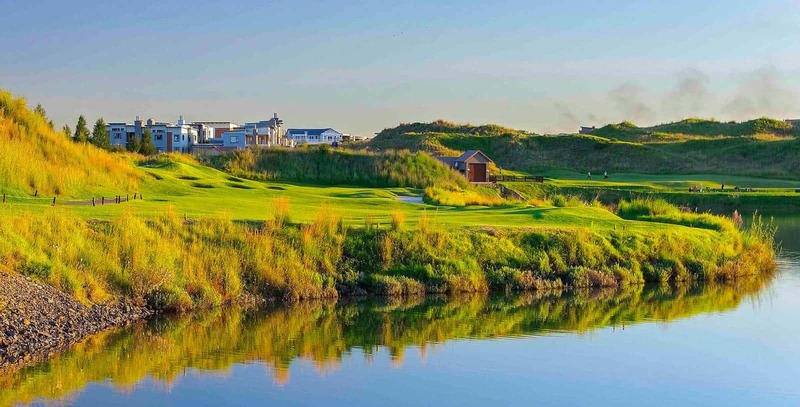 The Course Rating for each course in South Africa has been determined using qualified individuals who visited each club and used the methodology as required by the USGA CRS manual to rate the courses. During this process the raters collected all the data necessary to be entered into the USGA CRS application hosted in America. The rating data can be divided into two main parameters, namely the Effective Playing Length of a course and the Obstacle Stroke Value of the course. The raters used prescribed forms and the following is a summary of the data elements collected. Data collected to determine the Effective or True Playing Length of a course. Golf holes of, say, 400 metres have a different true playing length depending on the following five factors, which are used to determine the Effective Playing Length. Wind. The strength and direction of the prevailing wind. This is a factor mostly applicable to coastal courses. Data collected to determine the Obstacle Stroke Value of the course. There are 10 elements that are regarded as obstacles impacting the degree of playing difficulty of a hole. Each of these factors is assigned a weighting from 0 to 10. Zero means the obstacle is non-existent and 10 means that the obstacle is extreme. The HI is a number, to one decimal place, indicating the potential of a golfer. The Handicap Index is the handicap number that will be displayed on the HNA database for all registered golfers in South Africa. It is used in the calculation to determine the Course Handicap the golfer will use for the course they elect to play. The last 20 Adjusted Gross scores will be used to determine the handicap Differentials that will be used to calculate the Handicap Index.The best 10 differentials will be averaged and ultiplied by 96%. The golfer played a course with a CR of 72.8 and a SR of 131. The Adjusted gross score of the round is 89. The differential calculation for this round is: (89 – 72.8) = 16.2*113/131, which equals 13.9. 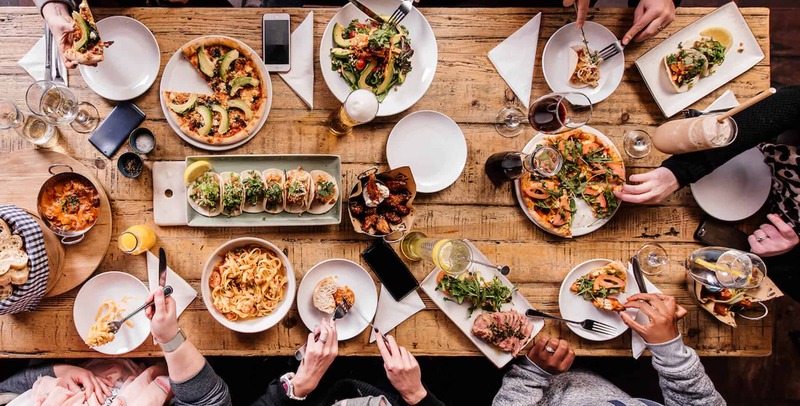 This differential, i.e.13.9, replaces the oldest differential and will be used in the calculation of the best 10 differentials from the last 20 multiplied by a factor of 0.96. A decision was made that there will be NO changes in the current methods we use in South Africa, thus the penalties for late entries of the golfers’ Adjusted Gross score will continue, the impact of exceptional rounds will be the same and the golfers will still receive notifications of exceptional rounds and if a re-calculation of the HI has been done. Also, the daily method of updating the HI will continue. The only difference for the golfer is that they will now have a HI that will be used to calculate their Course Handicap for the course they will play. The CH is the handicap the golfer will use to complete their scorecard. All courses (tees) in South Africa are rated for men and only certain tees are rated for women. Women golfers will find that at most Clubs there are two courses (tees) rated for women, namely the Blue Course and Red Course (using the standard colours for South Africa). Courses are no longer gender-based and men can play any course they wish, while women can play those courses rated for them.The Course Rating and Slope Rating for men and women are different, but the calculation of a Course Handicap remains the same. is done. A decimal of <0.5 is rounded down and ≥0.5 is rounded up. Golfer with HI of 12.3 is playing a Par 72 course with a CR of 73.1 and a SR of 144. Thus, the CH of the golfer is 15.6 + 1.1 = 16.7 rounded to 17. 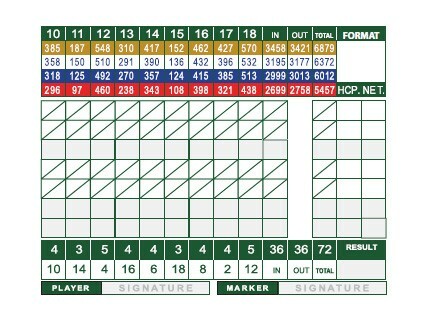 The golfer will use the CH of 17 to complete their scorecard. Golfer with HI of 12.3 is playing a Par 72 course with a CR of 68.3 and a SR of 129. Thus the CH of the golfer is 14.0 – 3.7 = 10.3 rounded to 10. The golfer will use the CH of 10 to complete their scorecard. 5. PROCESS FOR GOLFERS TO OBTAIN THEIR COURSE HANDICAP: EASY AND SEAMLESS! 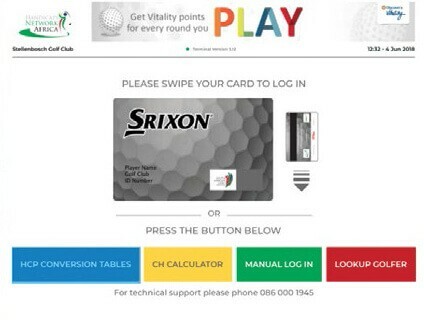 Every Club in South Africa will display the CHCT at a position easily accessible for golfers. Normally it would be in the Pro Shop or on Noticeboards at the Starting Tees.There is a Conversion Table for each of the colour courses for men and a Conversion table for the rated courses for women. The golfer decides which of the courses (tees) they want to play. Using the golfer’s HI, look up the CH to use. At registration, indicate to the registration person the course the golfer is going to play. Present your card and the slip received from the registration person will display the Course Handicap to be used. Golfers can select any rated course to play off. There are no longer Senior’s or Women’s tees and the scorecards of the Clubs are designed to reflect this. A male golfer can play all the colour courses at a Club and women golfers can play any of the colour courses rated for them at the club. The golfers’ Course Handicaps will be calculated for the colour course they elect to play and no further adjustments to the Course Handicap must be made. It is strongly recommended that golfers play the course where they will derive the most enjoyment from and, unless prohibited by the Conditions of Competition established by the Tournament Organising Committee, can play any competition from the course they select. The calculation used for Course Handicap ensures equity for all golfers in a competition. Look at the Course Rating. The course rating is an indicator of the playing difficulty of the course for a scratch golfer. It is a number expressed to one decimal point and would always hover around the par of the course. Easier courses will have a course rating under par and more difficult courses will have a course rating over par. Look at the Slope Rating. The higher the Slope Rating, the more difficult the course is for the average player to play relative to the scratch golfer. If you see a Slope rating in the 130s, he course will be challenging but enjoyable for most of the golfers with a mid to high Handicap Index. If a course has a Slope Rating in the 140s, it is playable but a serious challenge for he golfer with a mid to high Handicap Index. Courses with a Slope Rating in the 150s would, in most instances, not be enjoyable to play for the mid to high Handicap Index golfer. Three players with a low Handicap Index invite a novice golfer for his first round of golf. Instead of playing the White Course, they should choose the Red Course (shortest course) and all four should play the Red Course. Instead of scaring the novice away, they might welcome a passionate new golfer in their midst. A dad wants to introduce his daughter/son to golf. He can now play the shortest course with them, play a serious round and enter his score on the HNA system. 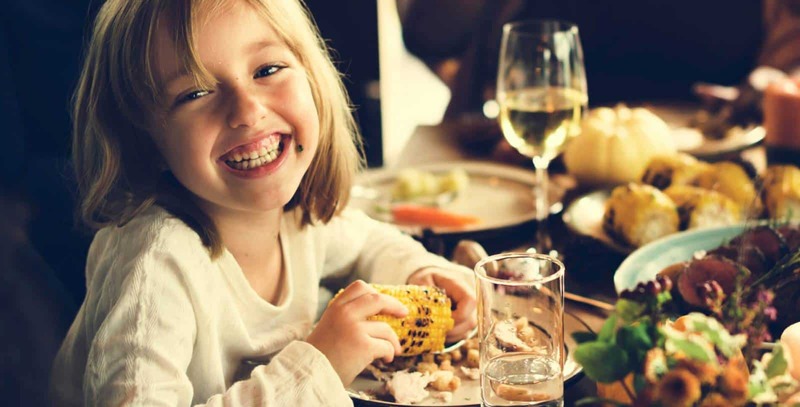 A family of males and females can select a course rated for both genders. They can all play the same course with equitable Course Handicaps and have fun. Slow play is one of the major negative factors for golfers. With the USGA Course Rating System, golfers can select a shorter course and, together with ‘ready golf ’ and less time spent looking for lost balls, play a quicker round. In addition, by virtue of the fact that male golfers can play the shortest course with an equitable handicap, it enables them to choose a course where hey could hit more greens in regulation and thus play faster and have more enjoyment. There is NO change to the current method of entering a score. The golfer will enter their Adjusted Gross Score using the HNA App on their Smartphone or by swiping their card at the club terminal. The system will then calculate the handicap differential and display this on the system. If the round has been opened before play, as recommended, the golfer will just enter the djusted Gross Score, i.e. the number of strokes the golfer played during their round, adjusted for the maximum strokes allowed on a hole. 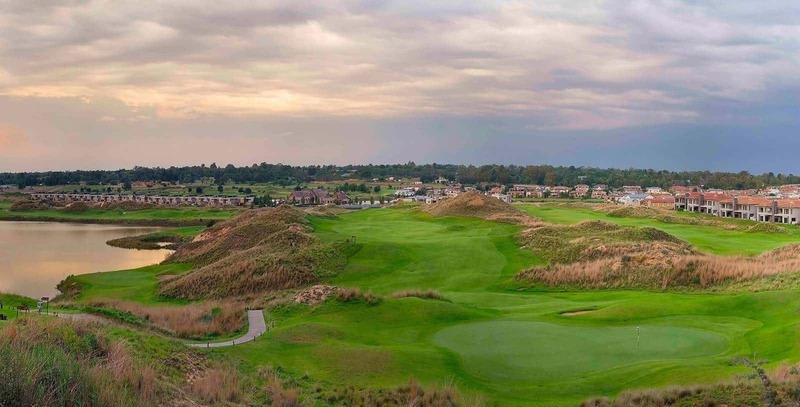 Should the round NOT have been opened prior to play, the golfer will have to go through the process of selecting the club, the colour course (tees) they have played and enter the Adjusted Gross Score. The same rules as are currently in place relating to entering scores after 72 hours, exceptional scores etc. are still applied, and the same alert messages will be sent to the golfer. There will be NO other changes to the handicap system currently in use. Please see the Handicap Rules and Handicap Summary Rules on the GolfRSA and HNA websites. The only difference for the golfer is that they will now have a Handicap Index that will be used to calculate their Course Handicap for the course they will play.